At this symposium, as in much of the literature over the last 5-10 years, there has been continued discussion regarding ways to reduce drug candidate attrition during the more costly drug development phases. Much of this discussion has revolved around the recognized importance of selecting drug candidates that have "drug-like" properties, i.e. physical, chemical and structural properties that appear to differentiate nondrug and drug molecules (Kennedy, 1997; Lipinski et al., 2001; Kola and Landis, 2004). 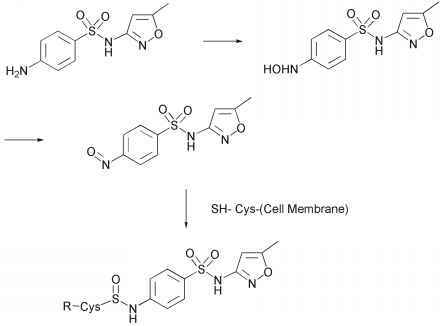 As a result, there has been a conscious effort made to move from highly potent ligands toward a molecule that has "drug-like" properties, presumably with a lower risk to attrit during development. In an effort to address these properties sooner, preclinical groups such as pharmaceutics, metabolism and toxicology have been brought into the drug candidate selection process. In an earlier symposium in this series, significant discussion occurred around the process of moving from hit to lead selection and the potential role of "druglike" properties even at such an early stage (Borchardt et al., 2004). The key driver for pursuing drug-likeness at the lead selection stage is to avoid templates where inherent properties of the template may be difficult, if not impossible, to overcome with synthetic modification during the property optimization phases. There continues to be a lot of discussion regarding "lead-likeness" versus "drug-likeness" and what is important to have in a lead molecule (Oprea et al., 2001; Oprea, 2002; Rishton, 2003; Hann and Oprea, 2004; Borchardt et al., 2004). Irrespective of the definition, the process of lead optimization is intended to move a lead compound toward a drug candidate containing "drug-like" properties in addition to high potency. The process most often implemented to reduce attrition at later phases usually involves introduction of a set of "drug-like" criteria that must met for a lead to be considered as a drug candidate, i.e. the "gate-keeper" strategy. While this approach is likely to minimize the attrition of compounds in later phases or at the very least, reduce downstream surprises, it does not necessarily follow that there will be an equal number of strong drug candidates coming forward. In fact, a reduction in number of candidates often will occur, but those accepted will be of much higher quality. The real proliferation of more "drug-like" molecules will be better realized as the role of the preclinical groups evolves from that of a "gatekeeper" to that of becoming a full partner in the discovery process. Simply making measurements on molecules and relaying a meets or doesn't meet decision back to the discovery organization is inefficient. While such criteria will induce the discovery teams to think about the drug-like criteria during optimization, which is obviously advantageous, the team will need to take on the added burden of learning and incorporating preclinical sciences into the selection process. The more efficient utilization of resources at a corporate level requires partnership in the drug discovery process between pre-existing preclinical science areas and the discovery teams. This "partnership" mentality will move the teams from discerning a drug candidates potential, to applying multidisciplinary scientific expertise to the design of the screening funnels and data interpretation, facilitating design of drug-like properties into what was a lead template. Depending on particular organizational constructs, the ability of preclinical groups to work with discovery teams can range from expected and appreciated to difficult. It becomes critical that the preclinical groups of drug metabolism, pharmaceutics and toxicology all work with one another in order to effectively influence lead optimization. The absorption, distribution, metabolism and elimination (ADME) components described in the first session of this book begin to address the behavior of a drug-lead in vivo. However, the effective design of improved ADME behavior requires an understanding of the inherent physico-chemical properties of a lead and how they impact ADME behavior. This is where the interactions of the ADME and Pharmaceutics groups become critical. These groups need to think in terms of property optimization in a rapidly moving, quick decision making environment, where experimental data and compound availability are limited. Pharmaceutics has traditionally been regarded as the scientific discipline focusing on the development of a dosage form for marketing and easy administration to the target species. It has become increasingly recognized that the physical chemistry and engineering components leading to quality design of a dosage form is only part of the role they should play. The inability to deliver the drug to the target site, at a concentration sufficient to illicit a pharmacological response, will make the most elegant formulation designs useless. It is critical for the pharmaceutical scientist to be prepared to apply their knowledge of physico-chemical properties to molecular level behavior at the biological interface in the discovery environment. While the same science still applies in this environment, the way it is employed and how decisions must be made quickly, often with less than adequate data, will be very different than the highly regulated environment a pharmaceutical chemist typically operates in. An understanding of how the inherent physicochemical properties of a molecule are reflected in the ability of that molecule to be delivered to the intended target can have a crucial impact on the iterative process of lead optimization. Progressing through lead optimization with drug delivery issues in mind will ultimately result in potential drug candidates that have a drug delivery facet designed into them and meeting the preordained "drug-like" criteria set forth will be a natural consequence. This chapter will discuss potential roles that the pharmaceutics scientist can play in helping with drug delivery attributes of leads during lead optimization. The physicochemical properties that the pharmaceutical chemist is trained to measure and assess include things like solubility, partitioning, ionization, dissolution, supersaturation, complexation, binding, association, surface activity, physical state, material properties, and diffusional transport. The influence of these physicochemical properties on design and readout of screening funnels will be discussed, wherein these properties play a critical role on the exposure of the molecule to the target of interest, whether that target is in vitro or in vivo.